In 1994 personal watercraft were all the rage and the industry was growing at an unprecedented rate among recreational products. The Sea-Doo brand continued to strengthen its new found leadership position with product innovation and aggressive marketing of this relatively new sport. Performance was at the forefront of product innovation while the cottagers and all around watersports enthusiasts found a new found freedom and the brands new tagline “Everybody’s Doing It!” held true. Watercraft racing was a prime time sport on ESPN and the personalities were becoming household names as many of the stars began migrating to the runabout class as factory sponsorship and support was now in play. The first Sea-Doo factory support team riders were introduced at the Sea-Doo factory in Valcourt, QC with a dozen of the world’s top riders competing on Sea-Doo XP models. 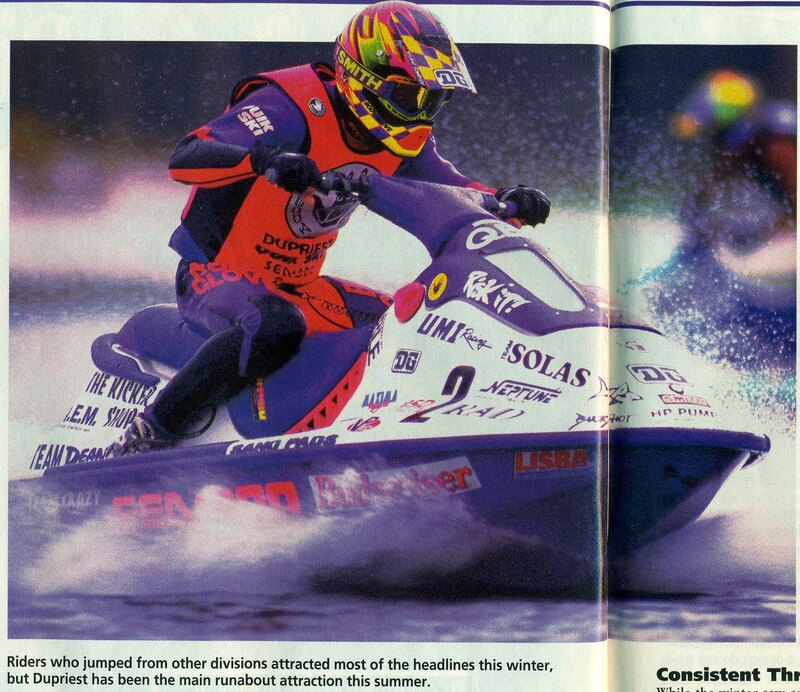 Sea-Doo riders would dominate the IJSBA National Tour that year with a major handling component being developed, the curved sponson. The curved sponson gave these higher performance watercraft better stability at speed and helped cornering ability by digging into the water. Sponsons would make their way on nearly every watercraft that followed. 1992 National Champion Bo Dupriest claiming the hotly contested Pro Runabout National title again in 1994 with a hull/sponson combination elements that would be carried over to future production models. 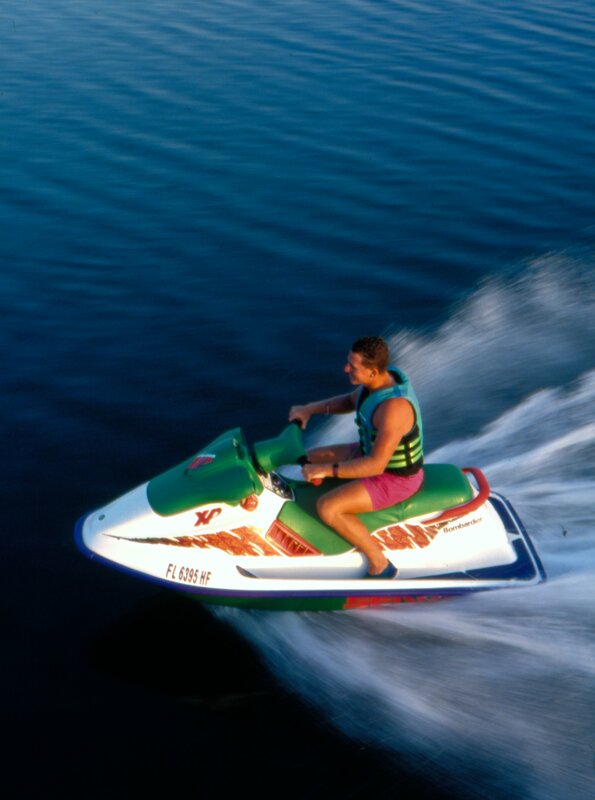 The 1994 Sea-Doo GTX received upgrades including the addition of the 657 cc Rotax rotary valve engine with tuned pipe and brass insert in the water jet pump, introduced in the XP the year prior. The growing popularity of the three-seater for towing led to a standard mirror being added for observing skiers. Development of future product was intense in Valcourt and the Grant, Florida test facility with benchmark models in development as the marketing efforts reached the general population with a mass TV and radio campaign and a dealer network that now spanned North America.